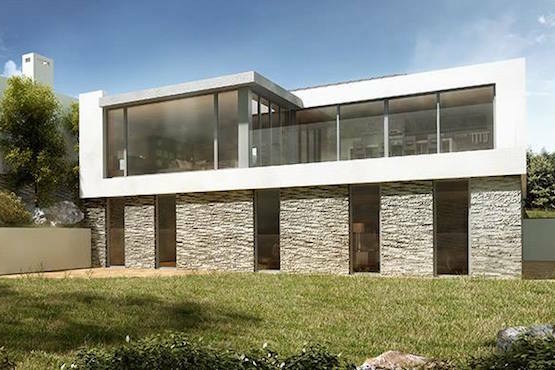 North Sands Developments are delighted to announce that they have received planning permission on their latest project, two stunning contemporary detached homes situated in the beautiful and sought-after Devon town of Salcombe. The two striking buildings, each providing 2500 sq ft of accommodation, will be fitted with all the usual North Sands refinements and have been designed to the company’s normal exacting architectural standards. The homes will be built in the desirable south west area of the town, which means they will have breathtaking views of the Salcombe estuary along with large secluded terraces to enjoy Salcombe life to the full. And with all the restaurants, bars, leisure and, of course, sailing, that the town is famous for, these two new additions have plenty to offer. Harriet Cundy, Director of Marchand Petit Estate Agents, has been closely involved with the concept of the project, and sees them as a natural fit to the Salcombe market. "We are delighted to be working once again with North Sands Developments; it is always rewarding to be involved from the inception of a scheme through to finding the end user,” she commented. “Our areas of expertise work well together and, from previous developments, we know the high specification and attention to detail along with the views and accommodation will not disappoint the discerning buyer".